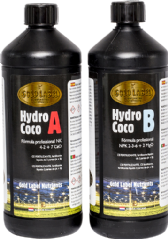 Gold Label HydroCoco is a professional grade mineral two component base plant nutrient for the vegetative and flowering phase on hydro substrates such as expanded clay pebbes (Gold Label RHP Hydrokorrels) rockwool but also coco. Add A & B in equal quantities, 0.5-3ml/litre or until the desired EC. The chelated micro elements guarantee optimum availability in a wide pH range. Never combine pure nutrients together, always mix in water. Shake bottles before use, store at room temperature. 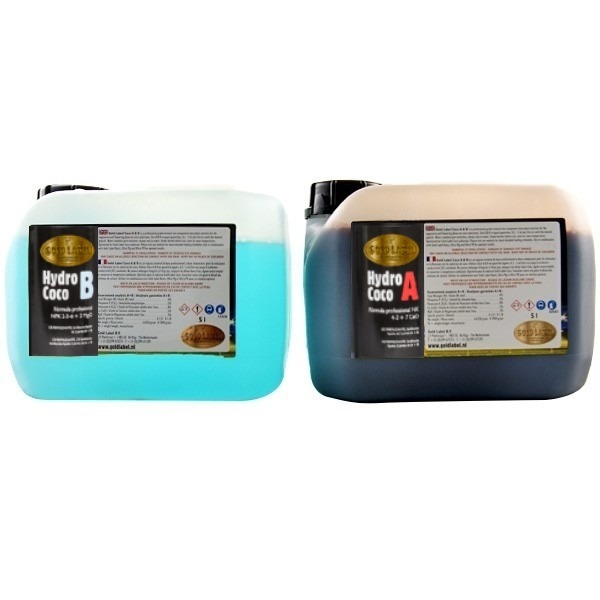 Optimized for Gold Label single and mixed Hydro substrates. Use in combination with Gold Label Roots, Ultra Mg and Ultra PK for optimum results.